You may be asking yourself what these thoughts have to do with September 11. I’m getting there, I promise. There have been great travesties and horrors in American history and all throughout the history of this World. Most of us reading this will say September 11, 2001 was the biggest tragedy in our lifetime. Much like the assassination of JFK or Pearl Harbor in the generations before us, we know exactly where we were when the news started to reach us. Sophomore year of high school, Ms. Boggs English class; Mrs. Irwin came in from her room to tell us about the first plane. We turned on the news right after the second tower was hit. I can recall as if yesterday nearly every moment of that day. A cowardly attack on innocent people, shame on us if we ever forget an event that will define many lives thereafter. Looking back 17 year ago, literally a generation ago. A generation before threat color levels, the worries of random acts of terrorism. What sticks out to me is something words I don’t believe could ever really fully capture. Simply put, people found it in themselves to just do. There are countless stories from that day of people just doing. 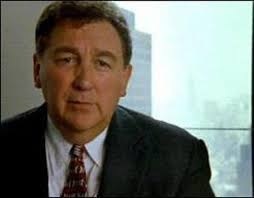 Rick Rescorla who survived the Ia Drang valley with Col. Hal Moore in Vietnam, Welles Crowther- ‘The Man in the Red Bandana’; Jeremy Glick, Tom Burnett, Mark Bingham and Todd Beamer who were the first to take the fight back to the perpetrators of evil that day aboard Flight 93 igniting with simple words, “Let’s Roll.” Many others 8 private EMS providers, 27 Port Authority Officers of New York and New Jersey, 23 NYPD officers and the 343 firefighters of the FDNY all perished so others may live. The total loss of life that day totaled nearly 3,000. Including the illnesses related from the toxins at ground zero the numbers are even greater. Yet our enduring memories of this day are of these ordinary people who lived this day larger than life and became immortal heroes who we should and I hope never forget. The losses could have been greater that terrible day, but these titans of men and women gave the ultimate sacrifice to save as many that day as possible. Words really can’t describe the thanks these brave souls deserve; ordinary citizens working alongside emergency personnel running into towering infernos to save complete strangers. Their actions rose above words! They acted, they did. We remember them today and hopefully every day. In the days, weeks, months and years that followed we sent our best to avenge these actions. United our country rallied behind the memories of our fallen and an unspeakable attack on our way of life. While at Ground Zero President George W. Bush spoke simple but poignant words after hearing chants of U.S.A. President Bush responded, “I can hear you! I can hear you! The rest of the world hears you! And the people who knocked these buildings down will hear all of us soon!” We responded with absolute resolve and came together as one. Seventeen years later here we are a country that I must say sadly does not resemble the weeks and months of unity after September 11, 2001. We are as divided as recent memory recalls and we should look inward to see how we can heal. If your first thoughts are to unconditionally accept your way of thinking, stop. Rarely ever will two people ever fully agree on anything. What we can do, must do as nation is learn to compromise. No one side has all the right answers; it takes hard work dedication, compromise, and teamwork to make this great experiment we call America work. We have to come together again and work together to continue this great Nation in its continuing move forward. Let’s remember to put aside our differences and find the common ground to continue our cause together as one. Looking back seventeen years later, I still don’t have to words to describe the bravery and heroism displayed by countless individuals on September 11, 2001. The lasting memories to me are not of sadness and destroyed buildings, but of triumph and valor in the face of danger. Remember these heroes from all walks of life who didn’t ask those they went to save of their opinions or ideologies they just went, and they did. Their actions that day spoke louder than any words. September 11, 2001 a day to remember, a day when good triumphed over evil. To those we lost in New York City, Washington D.C. and a quiet field outside of Shanksville, Pennsylvania we remember you today and forever. I’m trying to keep my end of the contract I made with you all. You all are doing a great job, keep sharing away! What is this going to be about tonight? My romance with the evening, the open road and the pen, or in this case the laptop. I’m still in favor of putting pen to paper don’t get me wrong, but sometimes it’s just as easy to go ahead and type it out. Especially when I was working on my first book again! I finally picked back up ‘Confessions of a Dying Twenty-Something’ and I’m glad I did. There were several edits I missed on the first proofread. Looking at the word count I have a long way to go, but I’m looking at it as how much I’ve written so far. Keep pressuring me to write! There’s just something about the evening that makes me want start writing. Do any of you have anything that triggers or makes you want do something? A particular time of day that makes you want to run or anything like that? I think it’s the quiet that probably helps the most for me with writing, which in hindsight is probably obvious. Beyond that though the complete stillness of the late evenings is just soothing at times; I miss the late evenings so this is a nice change of pace to be working late for the next few months. In addition to the night just driving on the open roads here in Kansas has been awe inspiring for me. Maybe I’m just not use to the nearly completely straight and flat roads, but I just look out and lose myself a little. On a side note, I have to pay a little more attention to the speedometer, because the different terrain has me unaccustomed to judging my speed. It could be as simple as experiencing living in a new location for the first time in over a decade. I am enjoying the scenery including the seemingly endless miles of corn and soy fields. Reminds me to truly enjoy where I live when I get back home as well, I think we all take for granted what we have around us all the time. I am finding myself not only missing the people at home, but being back in the place I know as home. This leads me back to my original point, these events transpiring have me inspired to write again. I think I will always have the running playback commentary running through my mind. There is a chance I suppose it may end at some point, but I rather enjoy it most of the time. Here’s the thing though, we can’t continually live in our past experiences. We have to get out and embrace life while we still can and take in as much beauty, fun, sadness and everything life has to offer. We can always stop at the end of day and reflect back on what we’ve done. Staying stuck in the past is sure fire way to do one thing and one thing only, to stay in the past. Does that mean we can’t have the occasional remembrance of the past? Of course not. There are times whether they are a few minutes, hours or even day when reliving the past is fun and needed. 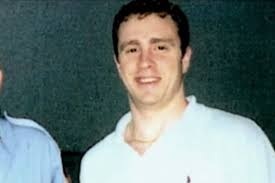 Your high school reunions, getting together with friends you haven’t seen in years all great times to reflect back when. I also recently ate an old school diner that was a throwback and it took me back to a time I never personally experienced. Don’t be afraid to get lost in your own thoughts from time to time. What triggers these times when you get lost in your own mind? What makes you think about special memories you could never forget? A song sticks out to me, ‘Strawberry Wine’ by Deana Carter. The premise of the song is remembering her first love when she returns to her grandpa’s farm where they met. Even though the farm no longer operates she comes back and can still taste the strawberry wine from her first love when she was 17. Is there anything that triggers memories from you like they were just yesterday? It could be your hometown you don’t see much anymore, maybe the same style of car you had when you were 16 or hearing that name from your past. We all have triggers that make us remember. Don’t fear the memories, embrace them and smile on the times that were and remember to wake up and keep living your life. You don’t want to be the person who is stuck living in their memories. So here’s to the romance of the evening, the romance of the pen and to the romance of the open road. When I finish my time up here in Kansas, I’m hoping to hit the open road before I return home to Kentucky. I’ll keep you all informed how it goes and I’ll keep you posted on my adventures here in Kansas. Between work and the heat most of my adventures have revolved around the pool at my hotel. Hopefully it cools a little and I get out to see some exciting new sites! I will also keep you updated on the book, I am thinking of a style change and may release some excerpts here very soon. As always feel free to comment, like, share with others. I appreciate all of you and your encouragement, until next time. Just write. That is the motto of most authors or instructors of writing. It doesn’t matter if it’s good, just write. You can always edit the work you’ve done, but you can’t edit what you didn’t write, so just write. You see the point I’m getting to here? Is it by chance, to just write? You’d be right. I can’t argue this point, because the people who say this are correct. That doesn’t always translate to the individual, especially me. I suppose that’s what makes the difference between the writers and the wannabes. I’m going to try and follow my own advice, or I suppose the advice of the professionals and just write. Before I do though, I’m going to dispense some advice for us all and I’m going to need your help and support. What if we took this advice about writing and applied it to life. Instead of saying ‘just write’ replace it with ‘just live.’ We need not to worry about keeping up with Jones’ or worry about how we compare to others. Stop comparing your life to others and you’ll be much happier. The only person who your life needs validation from is you, so live your life. It doesn’t matter what that girl from high school who used to make fun of your clothes thinks. It doesn’t matter that your high school crush got married at 22 and you’re still single at 35. The only person you need to satisfy is you. Pause and think about this for just a few moments. A young man who ran away from society to find his inner peace and true happiness realizes, “happiness only real when shared,” as he is dying. Profound irony and wisdom, if albeit extremely sad. If you’ve never read the book or seen the movie, do it. It is a true story; both sad and beautiful at the same time. Some people say getting through life is enough. If that makes you happy, by all means do that. If you realize merely existing isn’t enough, go live. ‘Just live’ the life you’ve always wanted. Like writing you can in fact edit in life too. You may not be able to change the past, but you can start today, you can start right now to have a different future. Try new food, visit new places, see old friends, make new ones and give love without reservation all along the way. Enjoy your life; find peace and happiness and share it with others. My ultimate point is this, just live. Quit making excuses, quit just existing and live. Find something that makes you happy and go after it. Don’t forget to share those experiences with others along the way. It doesn’t have to always be the same people, but share these moments with someone as you go through this life. After all, does it really happen if you can’t remember it with someone? The great irony for me here is that I’m on my own solo adventure for about 3 more months. You know what I’m doing though? I am including others as much as I can and the people close to me back home, I am trying to share as much as I can with them. I’ll share my adventures with you too, I’m about to start writing about them. To close I am going to make a promise or you could call it a contract with you all. There is two parts to this contract, mine and yours. Part 2, yours. I (insert your name) promise to support Coty and CotyWrites by sharing his content with others; I also pledge to give Coty feedback, suggestions for new topics and will remind him he promised to write for us. Please, sign for me. I hope you all enjoy and while I’m doing what I love, just writing, I hope you’ll find something you love. Just Live! Superlatives, a time honored tradition throughout middle and high schools everywhere. Let’s first take a moment to say many times these mean nothing and are nothing more than an exercise in vanity or the beginning workings of anxieties/ nervosas for many. Still they are a fun way for many to be able to compliment their fellow students with titles they will wear proudly. Many times these ‘awards’ are the furthest things from reality and other times if you pick up an old yearbook and look at them you’ll notice they nail it, even 10, 15, 20 plus years later. Just gander at a few of the most common ones; let’s starts with ‘most likely to succeed.’ Can that really be measured? Everyone measures success differently as we get older and possibly wiser. High school romances come and go, but maybe ‘best couple’ stays in it for the long haul and still look at each other with that same star crossed lover look they’ve had since sophomore year 2002. Best dressed, class clown, best eyes, most talkative, and biggest flirt these lists can go on at times. 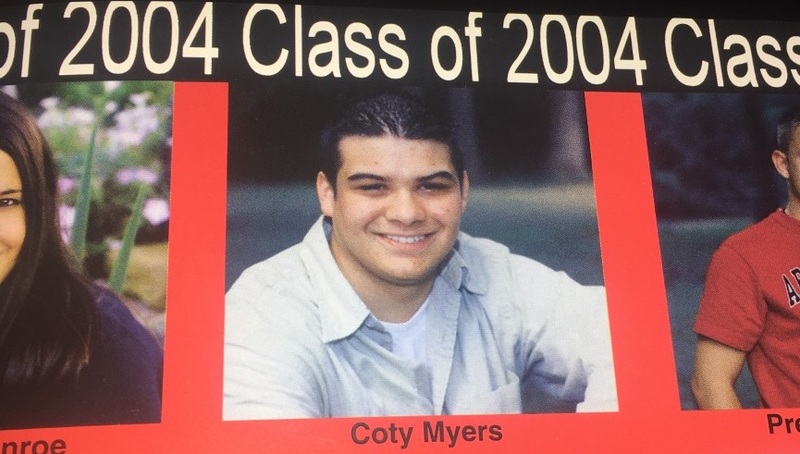 Let’s talk about my personal experience with superlatives from my senior year, when I was a proud member of the class of 2004 at South Laurel. As voting began for superlatives that year I won’t lie and say I didn’t care, I’ve always wanted to be remembered and to be recognized by my friends and peers. When the results were announced I did in fact get voted for a superlative, awesome! 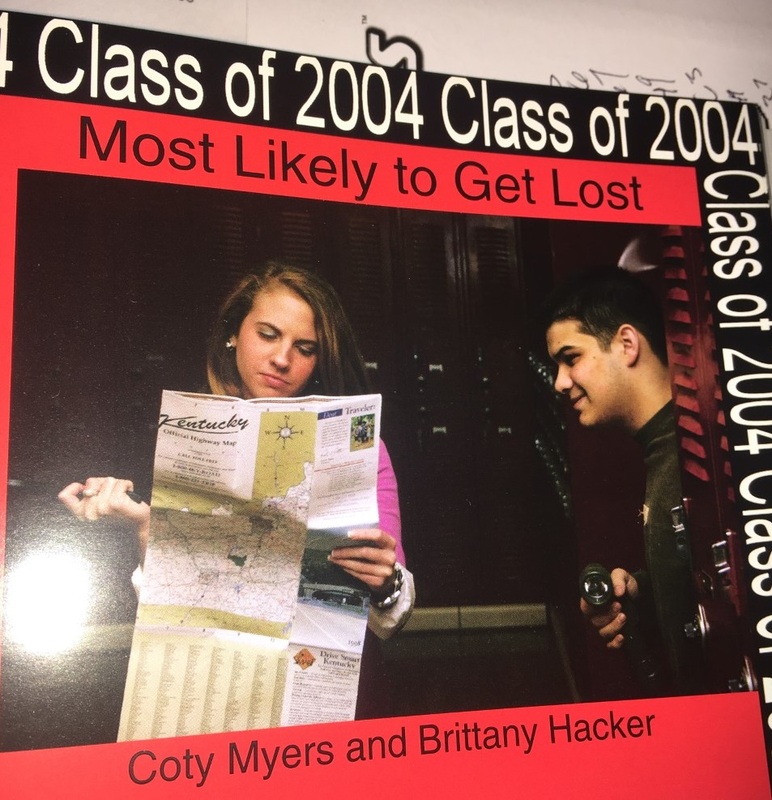 ‘Most Likely to Get Lost’ was what my fellow students had bestowed upon me. I was a little irritated when I found out. I rarely got lost, people usually called me for directions or to help them find their way when they were lost. I outwardly took it in stride and made the best of it. At least people voted me in for something. It may have been a joke or just the least consequential category my friends cared to vote me in. I took the picture for the yearbook with the female winner, Brittany Hacker and it was a nice light hearted photo. (I’ll put it at the bottom for you all.) Still the following year when the yearbooks were delivered and I saw it, I was perplexed again. I let this little insignificant matter bother me for a couple of years, into my early twenties, I hate to admit. Looking back I know it was completely ridiculous to have let it bother me for so long, let alone at all. High school superlatives play no role in our futures and I doubt anyone thinks a second thought about them more than a year or two after graduation. As you all may know my mind doesn’t always rest and let things lie dormant. It could be for my continual search of nostalgia and I do take great pleasure in looking back and reflecting. I had picked up my senior yearbook and thumbed through the pages. I saw the people, the friends, smiles and the memories seared into my thoughts. I just think it’s good to see them from time to time and reminisce. Then I landed on the page with my ‘Most Likely to Get Lost’ picture. I laughed at myself for a minute remembering how I had let something so small bother me in the past. Then I started looking around and thinking about what I’ve accomplished and where I’m going in life. Then I laughed some more and thought about the irony. I finally graduated college after years of slacking off and having to move back in with my parents. I looked up and realized I was 32 (nearly 32 when I first started writing this piece, closer to 33 now, more on that later) and haven’t really achieved most things I thought I would. On the other hand what did I really think I would have accomplished at 32? A wife and kids? Maybe. Some illustrious career? In what field? Probably not living with my parents. Yet here I am. Now stay with me, because the irony is just getting good. Maybe all those years ago those fellow students of mine saw something I didn’t see at the time. Maybe the vote wasn’t as simple about people getting lost in travels and making the wrong turns on drives. It could have been just a silly nod to give me a superlative, but I think in a funny way a lot of people saw even then I was a lost wayward soul floating around. The reality is I still am. Like I mentioned a minute ago, I originally started this piece probably 9 to 10 months ago. I am just now finishing it. Since I started it, I am now temporarily living in Kansas out of a hotel, plenty far away from my Old Kentucky Home and when I return in November, I’ll still be living with my parents. Not a lot has changed for me, and you know what? That’s ok. There is a quote, “not all who wander are lost” by J.R.R Tolkien. There is a lot of truth to that. Heck, I could be lost, but I have embraced the ride I’m on and I’m hoping I learn to enjoy it more. Another quote from Mary Schmich, made famous by Baz Lurhman from the speech ‘Sunscreen’ “Don’t feel guilty if you don’t know what you want to do with your life. The most interesting people I know didn’t know at 22 what they wanted to do with their lives. Some of the most interesting 40-year-olds I know still don’t.” Hopefully I have a little more figured out by the time I’m 40, but if not, I’ll be ok.
My life, like so many others, hasn’t been a straight line from start to finish. Sometimes I’ve zigged and zagged. Other times I’ve had to back up after spending time moving forward, but hey that’s life right? What I’ve learned is that it’s ok to not know what’s next and it’s even better to get a little lost along the way. The other half of that superlative is now Brittany Jones, kindergarten teacher, married with a beautiful son. Like I said sometimes those superlatives are totally wrong and other times they are spot on. Here is to all of us who are wandering and wondering through life. Getting lost isn’t all that bad after all. Traditional wisdom tells us that winning and losing are pretty clearly defined. You have a winner who wins and then you have a loser who does not win. Seems simple enough, and traditionally I would agree. Except in life there are rarely moments where there is clearly defined absolutes. 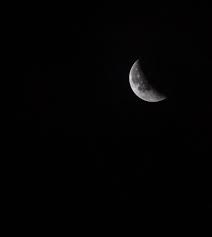 The world is full of areas grey and even myself, who believes in many absolutes, sees that the shades of grey in life leave much to be wanted and learned from. With that in mind I am going to discuss something that most of us do not like to think about or much less discuss. Well two things really, death and cancer. If you are uncomfortable with either, I ask that you stick with me and allow me to share my outlook on these terrible situations. The reality we face in life when decreeing something as an absolute win or loss is it doesn’t leave room for anything else. And many times in life defining winning and losing is very subjective. Life isn’t a sporting event, and heck even in sports that becomes an area of grey too. If a team is projected to be one of the worst teams in their respective sports and exceeds expectations tenfold that season is considered a success even if they fall short of winning a championship. In sports and life, it is all a matter of perception. You’ll see the reason for the sports metaphor a little later. Perception is what brings me to my cause for this piece tonight. I have been thinking and working my thoughts on this for over a month, and prior to that the general concept has been in my head for a couple of months now. When addressing the death of someone who has passed away due to cancer we have a tendency to say, “Jane Doe after a long battle with cancer lost their fight this morning.” I have used this phrase myself. I began to change my thoughts on this after watching my friend Kelly fight for years and ultimately succumbing to cancer. Then somewhat recently my mom’s first cousin Arlene also passed away from cancer after a long hard fight. We all know people personally who have fought and lived their lives in the face of this dreaded disease. So we remember them by saying they lost? Of course not we remember them for how they lived and how they fought bravely, no matter how long or how short that battle was. Don’t get me wrong, I understand people are using this turn of phrase as a polite way to acknowledge someone’s fight and untimely passing, I get that. I also understand people do not truly think people who die from such diseases are losers. However, that is technically what they are saying, unintentionally and with kindness I admit. Nothing about the struggles the brave souls we all have known says anything remotely close to losing. Their fights are usually nothing less than inspiring and awe inducing. I don’t know how these people handle all the hardships they face, it is truly super human feats to endure it all. My point is, these people, our loved ones, are not anything close to losers and they do not lose to cancer. Let me repeat THEY DO NOT LOSE TO CANCER. They may no longer be with us here on this Earth, but I believe they continue their fight from their heavenly homes or through those they touched here while they were still with us. How these heroes respond to unspeakable pain and suffering should be the measure enough of their wins. I have never once seen those diagnosed with a terrible prognosis not rise to face the challenges waiting in front of them. I’ve seen people told they have mere months to live fight for four to five years and beyond. They literally fight and increase their lifespan tenfold. No I can’t say these people lose, not by a mile. My feelings can probably be best described by someone else’s words. 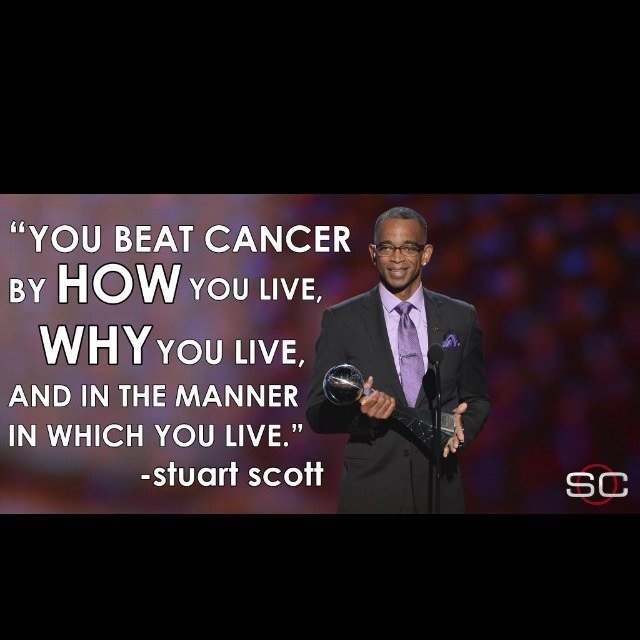 On July 16, 2014 Stuart Scott accepted the Jimmy V Perseverance Award at that year’s ESPY’s. Although, I never personally met or knew Stuart Scott or anyone from ESPN, I have felt such a connection to his words, especially after he passed on January 4, 2015, less than six months after his famous speech. You see January 4, is a special day to me it is the birthday of my friend Kelly who won her battle against cancer and departed this Earth on March 2, 2013. These words are just a portion of what Mr. Scott said that night, and if you have 10 or so minutes go to YouTube and watch the full speech. As I mentioned a moment ago he departed this life less than 6 months later, so in hindsight his words seem prophetic. Maybe he sensed his last days were drawing closer, but his words stood tall and powerful and will live an eternity at least to me as a rallying cry for all those touched by cancer. The first person I ever realized was fighting against cancer was a kid named Marcus Parsley who in elementary school was diagnosed with a brain tumor. Even at the time, I didn’t truly understand the aspects of what he was enduring, but it is my first real memory of a battle against cancer, and has stuck with me since. I believe it was fourth grade and his prognosis was not good, that young man fought for over three years before winning his battle and leaving us behind on Earth. My friend Kelly who I’ve mentioned a few times in this piece, and if you have read some of my previous works you know all about, battled for many years so beautifully and with such courage. My aunt Arlene who passed just a few months ago after many years of battling and fighting, saw her children and grandchildren grow; these people just to name a few lived those words spoken by Stuart Scott and exemplified what it meant to fight and live with cancer. These people are WINNERS in every facet of the word. I’m sure for those of you who read this, you know someone near and dear to you or even distant that has battled cancer and touched you in some way. These brave people we all know in our everyday lives are nothing less than true heroes. Their battles and struggles inspire us all and we should remember them for how they lived and fought. Next time someone you know passes away to cancer or any other disease or injury, that is outside of their control, I hope you join me not in suffering of their loss, but celebrating their victory! No more pain and peace is what they have now. This is for you Stuart, Marcus, Kelly and Arlene and all of the million others; you can lay down and rest now, we’ll continue your fight from here. Thank you for your love and touching all of us, you’re the inspiration we should all aspire to me. Below is Stuart Scott’s ESPY speech. A few disclaimers to start; I am a guy so many of opinions may not be agreed by ladies; again these are my opinions; I have come to these conclusions through countless personal experiences; and finally just have an open mind and assess yourself and situations you may be familiar with. 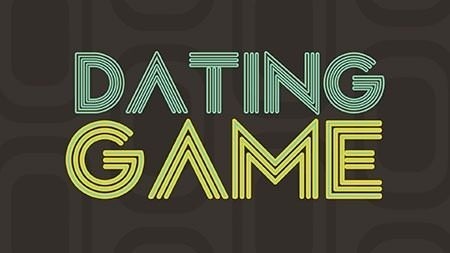 Folks let me try and talk about dating in the 2000-teens as an early thirty-something in rural America. It’s not a great scene. We all have preferences and some say if you compromise on those, you’re settling. I don’t believe in this logic. I think preferences are great to try and narrow your search, but ultimately I am about connections. Maybe someone is almost the exact opposite of your preferences but you just have that undeniable connection, pursue it I say. Now let’s get the point of which there are a few. The first, I just summarized above, preferences. Don’t be a slave to your preferences. There are so many great people out there and although our preferences are usually there for reasons, check yourself to make sure they are the right reasons. If you are waiting on for a 6’5 blue eyed, chiseled cowboy to randomly appear in front of you, I have bad news ladies, be ready to bend a little. That’s not to say you should date someone you find repulsive, but looks usually fade with time, and probably shouldn’t be your primary concern. There is a whole lot that can be said on this subject but let’s leave it at this. Allow your preferences to help you find someone, but don’t allow your preferences to control who you choose. Next is just simple, honesty. Just be honest, and honestly I think too many of us have a hard time with this one. Ladies I can you hear all now talking about all the lying guys out there etc. In my opinion I find guys to be pretty honest by and large, and you just choose to think you can change them. I have found women to be such a larger guilty party of dishonesty. I have two trains of thought on this. One the women are just trying to be nice, and let a guy down easy. This is all great and fine but I have read countless articles and opinions talking about how women have to break everything down for their male mates. If after years together women still have to be blunt about wanting their significant other taking out the trash, don’t you think you should be as honest and blunt about not being interested? The choruses sing but I told him I didn’t want to date, he was just a better friend, etc. Yet he’s your first call, last call, and everything in between. You told him how he would make such a good boyfriend and how much you cared about him, all the while knowing exactly he thought you were playing hard to get. You allow yourself to use him as a boyfriend substitute with no intention of ever letting him have a chance. This is where we get into the hypocrisy of dating. Both sexes are guilty, but I have to question females. Females lament about lack of quality, honest, emotionally in touch men out there and yet when they find one they are ready to overlook them in an instant. ‘No one wants a guy who gets upset about me, I may as well be dating another girl.’ Then in the next breath, ‘Why are men such jerks and only interested in being physical?’ You can’t have it both ways. It goes for both, but in my experiences women are much worse in this area. That’s not to say all, but most ladies are more concerned with the physical, as much as they would have us believe men are the more shallow. The hardest people on women’s looks? Other women. I’ve talked to countless girls and many of my lady friends ask me what am I thinking, I can do so much better based purely on looks. That’s not me trying to toot my own horn here, but I can find beauty in all forms of women, and if I connect with someone it intensifies my attraction to them. I know too many women who like to talk a big game and say they don’t care about looks, but won’t settle for less than what I described in the 6’5 cowboy earlier. Again folks hypocrisy at its finest. Next let us take a look at attraction. I put this in a totally different category than preferences. If you can’t explain why or why not you’re attracted to someone, I believe you aren’t ready for a real relationship. That’s not to say you can pinpoint exactly every reason someone makes you feel the way you do about them, but there has to be something tangible there or you’re just living in a fairy tale. Maybe it’s the fact their smile sends shivers down your spine, or they know just when to give a grasp of your hand. It could be that they show undeniable loyalty or the way they pronounce certain words. There has to be something that makes you say I could live without that, but I really wouldn’t want to. It could be none of the above, maybe it’s their wit or intelligence or the way they handle a wrench under the hood of a car but something has to be there though. So when I hear people say, “IT” just isn’t there or there is no “SPARK” I’m sorry I just don’t understand. Again I’m not saying you don’t know how you feel, I’m just saying if you can’t explain why you are attracted to the 6’5 cowboy and not the 5’9 gentleman, let me help you. It is usually abs, muscles, or something of the like, essentially you are shallow whether you’d like to admit or not. I like to keep my posts to around a 1000 words, but let’s give you all a little bonus. The whole point of this was to point out the hypocrisy of women in modern dating, so let’s talk about that for a minute. There is a huge push for women empowerment, body acceptance, etc today. I think all of that is great. However, I feel we have accepted the erroneous conclusion that men don’t have emotions. I think women day by day are in large numbers becoming completely blinded to their toll on men. We get strung along and often are just told to quit whining or we’re just friends, without any real explanations. The shallowness I’ve seen exhibited by women has truly blown my mind over the last 5-8 years. “I won’t date a guy shorter than 6 foot tall,” “If he doesn’t drive a truck he needs to keep moving, “He thinks he is too good for people, because he doesn’t sound like us.” Ladies no one is perfect, if you’re waiting on perfect you’ll wait a lifetime. You need a reality check, these guys who are never in a relationship and have reputations as ‘players’, probably aren’t changing for you. Evaluate the decisions you are making guy or girl, and make sure above all you’re being honest. 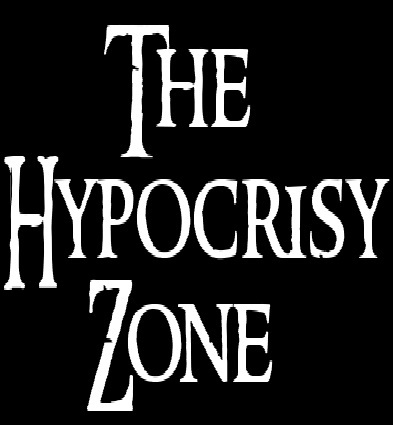 If you’re honest you don’t have to worry about being a hypocrite. I can promise you this though, the moment you forget that, you’ll find yourself becoming everything you claim to be against.